Ultimate Everest® guides are members of the Nepal Mountaineering Association, a non-governmental, non-profit and non-political organization working as a national alpine association of Nepal to promote mountain tourism, climbing sports, protect mountain environments. Ultimate Everest® is a member of the International Mountain Explorers Connection (IMEC) Partnership for Responsible Travel. IMEC recognizes tour operators committed the fair treatment of mountain crews. Acceptance as a partner is based upon the company's meeting IMEC guidelines for proper porter treatment in Nepal. Ultimate Everest® is an Outfitter/Guide Partner of Leave No Trace, a national and international program designed to assist outdoor enthusiasts with their decisions about how to reduce their impact on the environment. The program strives to educate all those who enjoy the outdoors about the nature of their recreational impacts as well as techniques to prevent and minimize such impacts. Ultimate Everest® is a Member of Sustainable Travel International, a global leader in sustainable tourism development. The non-profit organizations mission is to promote sustainable development and responsible travel by providing programs that enable consumers, businesses and travel-related organizations to contribute to the environmental, socio-cultural and economic values of the places they visit, and the planet at large. 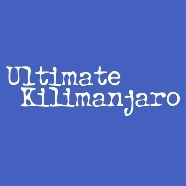 Ultimate Kilimanjaro is the #1 guide service on Mount Kilimanjaro. With nearly a decade of experience, Ultimate Kilimanjaro has a proven expertise on Mount Kilimanjaro, leading over 150 climbs for more than 1,000 adventurers per year. Their expert guides are among the most talented and respected professionals in the industry. Ultimate Kilimanjaro operates fully supported climbs on Kilimanjaro’s best routes, offering small party group climbs and private climbs all year round. 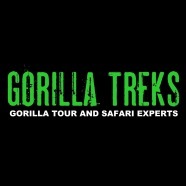 Gorilla Treks is a premier tour company for gorilla tours and safaris in Uganda and Rwanda. Visit Uganda and Rwanda for a unique encounter with the endangered mountain gorillas. Gorilla Treks offers the best gorilla trekking, chimpanzee tracking, traditional wildlife safaris, boat cruises and more in Uganda and Rwanda. Gorilla Treks is your gorilla tour and safari experts and has trips for any time frame, any budget and any special requirements.